Learn how & when to protect yourself with a handgun. Sign up for the most comprehensive FL Permit class in Southwest Florida. 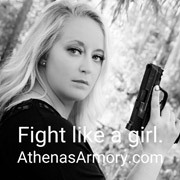 Athena’s Armory Defensive Training offers firearms training for shooters of all levels in the Lee County, Florida region. 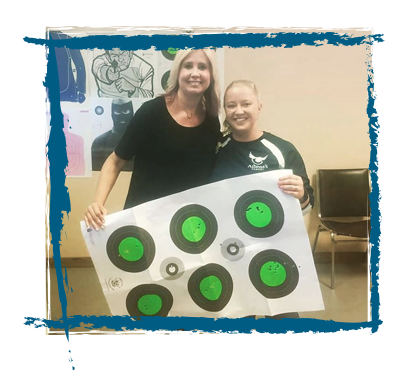 We specialize in training new shooters, women, couples, and families but also partner with a network of nationally recognized instructors to offer many advanced classes as well. Questions? Contact us and we’ll be happy to answer them for you! Covers everything required by Florida law and then some. Cost: $135 per person includes instructional materials, ammunition, firearms, range fees & gear. 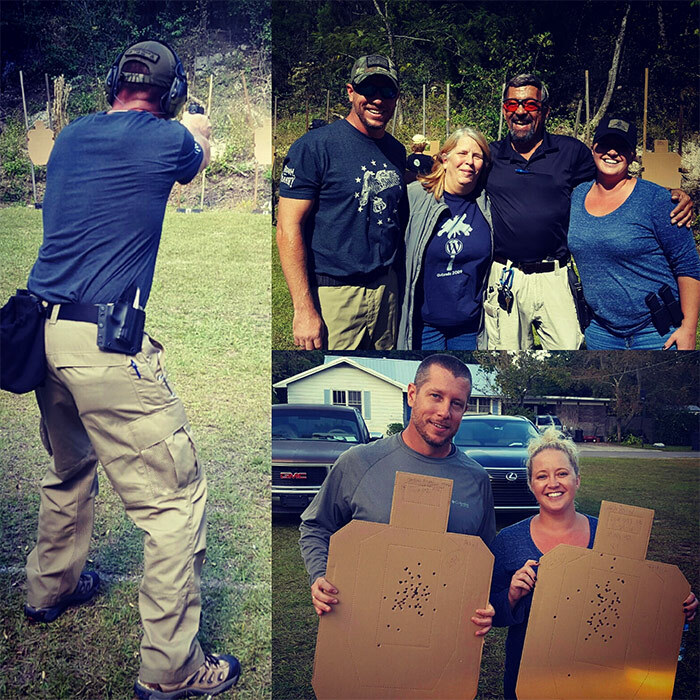 Our deluxe handgun class - also meets the requirements for a FL CWP. Cost: $150 per person includes instructional materials, ammunition, firearms, range fees & gear. You will learn how to safely load, unload, and shoot both revolvers and semi-automatic pistols of various calibers (.22, .38 and 9mm). Students learn basic rules for safe gun handling; pistol parts and operation; ammunition; shooting fundamentals; range rules; basic cleaning and maintenance; storage; and continued opportunities for skill development. One-on-one or small groups. Topics may vary according to your needs. Maybe you have conquered the basics, visited the range a few times, and know how to take care of your firearm but are not sure how to improve your shooting skills? Sara will help you become as accurate as possible! After analyzing your fundamentals and making corrections, she will give you ways to improve your shooting with drills that can be run at home and at the range! Training is key if you want to be able to defend yourself. Gun specific cleaning, storage, carry options, and training techniques. You have taken the leap and bought a gun - now what? Let Sara come teach you how to clean and maintain this new purchase as well as get accurate and comfortable shooting it! Not only will she bring the cleaning kit, she can show you some of the hottest storage and carry options on the market! A gun should be viewed as an investment and treated as such. This is a must for new gun owners! Review and shoot a variety of handguns to establish which is right for your situation. You have taken a beginner class and would like to purchase your first firearm - where do you start? There are so many different guns to choose from and we understand this process can be overwhelming! Sara will take you to the range and help you narrow down your choices. 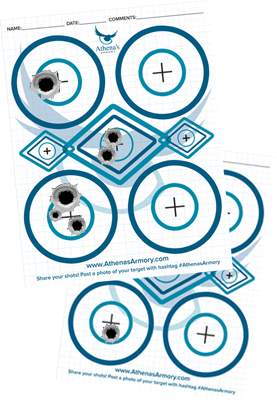 You will shoot a variety of guns for concealed carry and/or home defense. By the end of the session you will walk away with a specific idea of which gun is right for you. Our Chief Range Safety Officers will ensure your group has a fun (and safe!!) time at the range. Are you looking for a fun and exciting group adventure? Great for bachelor/bachelorette groups, company outings, staff rewards, or family bonding time! We will ensure everyone has a safe and fun time shooting a variety of firearms including pistols, rifles and/or shotguns. Got a permit...now what? This class covers what you need to know to prepare for everyday carry. *Must have a valid CCW Permit. This course is designed to develop the knowledge, skills, and attitude necessary for safe and effective everyday carry of a firearm. Draw, Reloading, Malfunctions, and a host of practical legal and gear related issues are covered in this dynamic class. Lead Instructor. Certifications include: RANGEMASTER Handgun, NRA Basic Pistol Instructor, NRA Personal Protection Inside The Home Instructor, NRA Refuse To Be A Victim Instructor, NRA Range Safety Officer and NRA Chief Range Safety Officer, Trilogy Range Medical Officer, Massad Ayoob Group/MAG40/Armed Citizens Rules of Engagement. Instructor. Certifications include NRA Basic Pistol Instructor, NRA Range Safety Officer, and NRA Chief Range Safety Officer, Trilogy Range Medical Officer, Massad Ayoob Group/MAG40/Armed Citizens Rules of Engagement. President, Frontline Firearms Training. 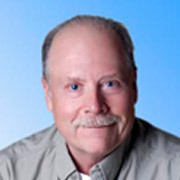 Don is our guru and training mentor and handles all of our advanced training and instructor development. 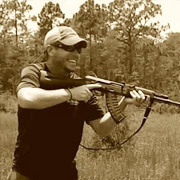 Don's resume is extensive - please visit FrontlineFirearmsTraining.com for his bio.